Peter and Stephanie lived in Manhattan, where the neon lights and the booming noises, bounced through their apartment windows. They were young, married and happy. They met up with friends for dinner at noodle restaurants or sushi or Thai food several times a week. Peter was a lawyer, Stephanie was in PR and they enjoyed their life. They stayed up late, needed little sleep and felt alive with NYC’s streets lit up with musicians, dancers, and a hundred different languages spoken at a time. It was not, however, relaxing. Peter started getting restless and started complaining about the noise in the city, and how he could just not stand another ambulance screeching through the city streets. Peter started talking about moving to the suburbs, so they could buy a house, raise children, plant a garden. Stephanie didn’t object outright but she had no desire to leave the city anytime soon. Three months later Stephanie learned that she was pregnant quite accidentally. She had gone to her Internist for a physical having been tired and feeling run down and when the blood work came back, she was pregnant. She was in complete shock and didn’t tell Peter that night, she needed a few days alone to digest the news. This had not been planned and Stephanie hated surprises but she knew they wanted kids in the future. Later that week, Stephanie interrupted Peter and said “she needed to talk to him and that it was serious.” He couldn’t read her expression and crazy thoughts went flying through his mind, “Is it over?” Is she having an affair?” “Is she dying?” It was none of those things, she said. She told him that she was pregnant, he was ecstatic and relieved. Tears flooded his eyes and he jumped up and when he tried to hug and kiss her she sat absolutely still. They talked long into the night and Peter could not contain his joy and Stephanie could not hide her ambivalence. Peter said “ambivalence” was normal, there was never a “perfect time to have kids” and she reluctantly agreed. He called his parents and hers, he called their friends and told them the news; Stephanie liked the attention. Her friends and family were absolutely “cooing” they were so happy and Peter woke up every morning like he had just won the lottery, grinning, his face lit up like the sun. Peter insisted that moving to the suburbs from the city was the right choice now. They knew they could never afford living in their tiny Manhattan apartment and have room for a bassinet much less a baby carriage. Peter started to look at starter houses immediately but Stephanie stayed home. “She was tired” she said and he knew her taste. Besides, she was just two months pregnant and they had plenty of time. Within a month, Peter had it narrowed it down to four houses. Peter and Stephanie agreed to meet at Grand Central so they could take the train to Briarcliff Station where their realtor would be waiting for them. They were meeting at eleven thirty to take the train at noon. At 11:00 they confirmed their plans. Peter was there first and he waited for Stephanie to arrive. It was now 11:45 and there was no sight of Stephanie. He rang her cell phone frantically but she didn’t pick up. He waited another hour there and annoyed, went back to the apartment. Back home he called everyone he knew but no one had seen or heard from Stephanie, not even her family or best friends. They feared she was abducted, it was not like her not to call. Peter had called every hospital in the city, he called the police and gave them a description and a photo, still no word. Two days later, Molly, Stephanie’s best friend, rang the bell and Peter let her in immediately. She started crying hysterically and Peter couldn’t understand what she said, nothing made sense. Finally, Molly reached into her red, leather bag and pulled out a note and gave it to Peter. It read: “Dear Peter, I can’t do this, this is not the life I want. I have already left and don’t try to find me. There is no baby. Steph. At that, Peter screamed and clutched his stomach. “Where the hell was she?” Molly swore she didn’t know and Peter believed her. Molly slipped away from the chaos and quietly shut the front door. No one understood, everyone was screaming and crying and shouting. Everyone was worried and mad and scared and in disbelief. “How could this happen to them?” they cried. Stephanie had been standing at the crossroads for many weeks, she had to decide on her life and what would make her happy. She chose to walk away, to leave Peter and her family and friends and start over someplace new. She had a miscarriage after three weeks, but she told no one. It was her first step on her way to freedom. Fibromyalgia Update: It Just Gets Worse? My Fibromyalgia update is not full of rainbows and unicorns and fairy dust, it’s plunking along through a slow and painful process, apparently it goes on forever. Now, in addition to Fibromyalgia and the auto-immune disease, Hashimoto’s Thyroiditis I’ve had to deal with Nuerological issues as well. Imbalance? Ah yes, you know it well. Now I have another doctor to include to my semi-annual repertoire and I have a feeling it isn’t ending here. 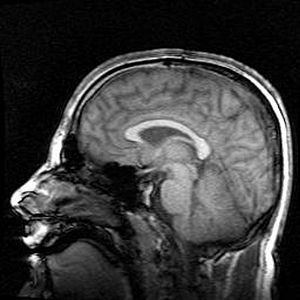 Just a feeling though…..
I’ve already had a brain and cervical spine MRI, the results were fine. My new Nuerologist (yeah, now I have one of those too) sent me a note saying that everything was normal given my age. “MY AGE” as if I don’t feel old enough. I do remember in the exam he exclaimed” So, what you are telling me is that you were basically a healthy woman until you hit the age of 50.” That grounded me, but it is so true. I know we weren’t supposed to trust anyone over 30 when we were young but no one said anything about falling apart when turning 50. You would think that would be written somewhere, or at least a warning sent when you are 45, (“ENJOY YOUR NEXT FIVE YEARS!!!!) not that we would have believed anything so preposterous. Once in awhile I have taken to using a cane, especially when walking our really strong 5 month old puppy, but with an 18 year old daughter, who embarrasses easily, I think I will use it more in three weeks when she goes to college. Wednesday, I am going back to the Nuerologist for results of my tests, I will see what he has to say. I’m bringing my husband along with me to listen; I am a horrible “listener” at a doctor’s appointment. I think it’s called the “white coat syndrome” whatever the doctor says, I seem to only remember the one or two bad words. My husband is much better at things like that than I am. Next week I will go to the Rheumatologist and try to straighten things out. I would ask one doctor to talk to the other but in the past few years I have noticed they really don’t like to do that. I know, “LIKE?” I will insist, because the only one who can manage my healthcare, let’s face it, is me. 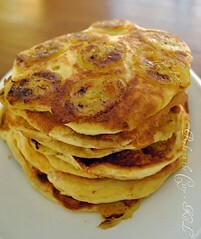 Not just any yellow fluffy pancakes but BANANA PANCAKES! family-some add chocolate syrup to them, others, vanilla ice cream. I just go for the sweet, sticky bananas fried (Use Pam) in a frying pan, with low heat. In fact, I go bananas for banana pancakes. Plinky Prompt: If You Could Live On One Food Item…. Please Can I Have Some Butter or Jam Too? 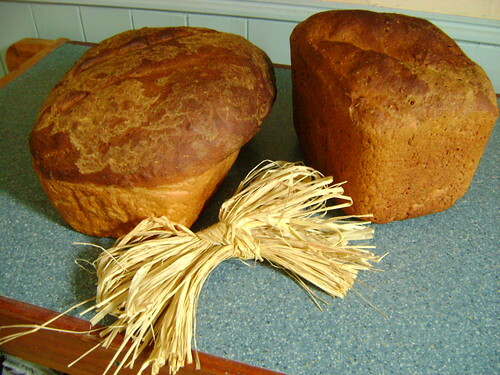 Home-Baked Bread. 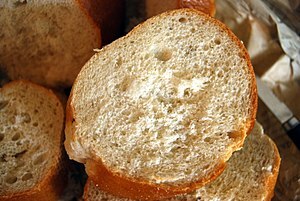 Italian bread, French bread, Portuguese rolls, Multi-grain bread, even Wonder Bread or Whole Wheat…… but please, can I have some butter or jam with that too? 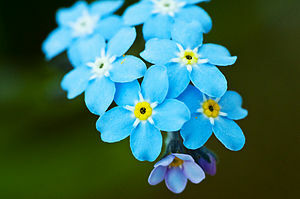 I have a friend, a dear friend, a soul sister that I have forged a deep connection with and recently learned she is sick. I fear she is very sick and while I may write and sob, wearing my heart always, on my sleeve, she is calm and accepting and talks about life after death calmly. I am here, a long way from her, this friend I have never even met, and I am crying, my tears flowing down my red cheeks without stopping. I don’t even attempt to dab at the waterfall cascading from my green eyes, I could not keep up. In some way I don’t want to mop up my tears and have a clean face; it just doesn’t feel right. I try to put on a brave front but she knows me and can see through my pretenses. “You have lost many people and you just don’t want to lose your new friend, your soul sister” she writes to me as if to explain. I put my head in my hands and rock myself while she is trying to comfort me from afar. She is a brave warrior and I feel like a fearful, young, gray mouse yet we coexist in nature. I have learned more from this friend about life and yes, death, than from many people I have known a long time. People can call themselves “best friends” but it’s only a label, an artificial one. She and I connect, spiritually. She sent me a poem that used in one of her pieces of writing and it turns out to be the same poem (* see below ) I had read at my father’s funeral. It did not surprise me but as wonderful as the poem is, it does not quiet my heart when I miss my dad the most and that, she acknowledges, is true. I wish I could wrap her up in a cocoon of the softest, silky threads and take care of her, feed her so she will stop losing weight rapidly, sing folk songs deep into the night, looking at the stars and making her tea with tupelo honey. We have never met, she and I, but we know each other well, like wildlife in nature, harmoniously living together, understanding intuitively what is good, what is bad, a friend, a foe. I hope to meet her someday soon but even if I don’t and even if she does die, as we all will, I know now, that feeling connected to another person, is worth the sadness that might occur later. For everyone, for everything, give people your heart and appreciate whatever time you have with them. Because, without them you would have been a lesser person, a smaller animal in the beautiful green forest. Thinking of an anticipated good-bye is downright torture for me, it’s like squeezing blood from my brittle bones, without anesthesia. *Do not stand at my grave and weep is a poem written in 1932 by Mary Elizabeth Frye. Although the origin of the poem was disputed until later in her life, Mary Frye’s authorship was confirmed in 1998 after research by Abigail Van Buren, a newspaper columnist. dedicated to my friend, with love. she knows who she is. Death of trust and life. At dinner, my nineteen year old son told me that he and his friends were going to see a movie later that night. I felt a chill course through my body. “Batman?” I asked in a somber tone. “Yeah” he said, just looking at my face, “Mom. don’t worry.” But, of course, I worried a bit and it is making me furious that once again there is another thing to feel fearful about when so much has already been taken away. We have lost the freedom to feel care-free, happy, because other people are killing each other senselessly. Wait, that is incorrect, we have not “lost the freedom” it has been stripped from us, leaving open, bloody wounds and physical and emotional pain that will never go away. I’m not saying that I won’t go to the movies again, certainly not, movies have always been my safe haven but now there’s another feeling about going into a movie theater other than just pure joy and excitement and playing the preview game, (thumbs up or thumbs down? )….there’s trepidation, at least for now. Life seemed easier back then, sure we had fire drills at school and we had to scoot under our desks (maybe there were threats we knew nothing about) but there were no actual terrorist attacks or abductions or practice lock- downs that my children speak of as part of their day, as common as milk and cookies were to us in the fifties and sixties. Knowing it can never be the same stirs a gloomy sadness inside me. What can I do to help? Anything? I know, probably not. The world as I knew it has changed. I just wish there was some way that collectively we could think of a way to make things better. Instead, we stand on the sidelines and want to lift a hand. It may be a totally unrealistic and innocent idea but I just feel so helpless doing nothing. Sure, I can spare a few dollars to donate to the victims of Aurora, Colorado but that’s not what I am talking about. It’s not ENOUGH. I have a longing for the past, an ache for a simpler life, the life of my childhood. I want to help make things better and don’t know how. 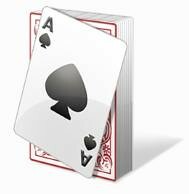 Plinky Prompt: Favorite Card Game? deck I don’t particularly like card games ( with the exception of “GO FISH” ) though when I was younger (and had incredible coordination) I was a master at “SPIT.” You really need great eye/hand coordination which now, I find, pitifully lacking. That’s what happens when you get older and have chronic illnesses. I do remember the happiness when playing the speed-like game “Spit” with two opposing teams, laughter, adrenaline and fun. Plinky Prompt: You’re a movie star. What food/items do you request for your dressing room? Mini orchid flowers Sigh, do I have to answer this AGAIN? Damn it, this should have been handled by my PEOPLE a long time ago. LIKE I SAID, I want medium sized jelly beans, (and NOT spiced jelly beans) in a pretty crystal bowl that has a cover so they don’t get stale. ( I HATE when that f–king happens), 2 bottles of iced Perrier, two egg salad sandwiches (if there’s peel in that sandwich I will not go on stage. A humidifier. My down comforter in yellow. Fresh flowers every day, mini-orchids (but YOU should Know that!) My puppy. My best friend when I ask for him/her. A swimming pool/steam room (I don’t care where we are filming, do it!!) Christmas lights strung around the dressing room,( white twinkling lights only), a jade plant, 5 silk eye masks and cucumber/strawberry platters. No alcohol allowed, except for a bottle of champagne, chilled, all the time. Plus 2 pitchers of fresh orange juice. Malted milk balls, a massage therapist on call 24/7 and sugar cookie (not vanilla) aromatherapy piped into the air ducts. That will be all. For now. Plinky Prompt: Beach or Pool? Ocean Wave Beach. The feel of the sand under my feet, walking slowly in the sun, looking for seashells. The thrill of the ocean (and the fear of the sharks) jumping over the waves, being a part of Nature. Sure, it is a little risky, it’s a little cold but there is no better feeling for me than diving under a huge wave and jumping over the rest; knowing when to jump and when to swim. It’s always held power over me, I love swimming and walking on the beach. 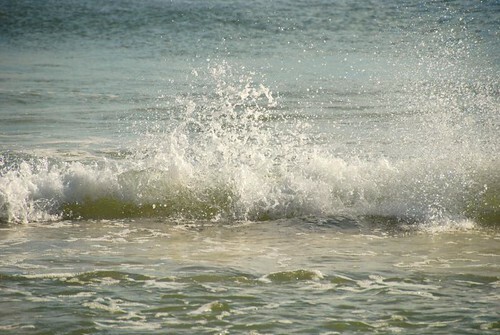 I love watching the waves as they crash. My biggest dream is to live near the ocean. Someday….